MCS was incorporated in 1987 to effect positive economic impact in the lives of our customers. Today, MCS is a private, high-performing human capital and economic development corporation strategically positioned within both the City and County of Los Angeles Workforce Investment Systems as a provider of workforce development, economic development, assessment, social, education, training, vocational counseling, and workforce sector intermediary services including career pathways development. From its inception, MCS has been singularly results-oriented, implementing programs designed to maximize positive outcomes by streamlining service-delivery models, applying a comprehensive system of metrics, and ensuring a responsive culture of service. We listen, develop solutions, and implement programs that address the needs of our constituents. In our 26-year history, we have managed City, County, state, federal, and foundation contracting in a wide range of programs including Welfare-to-Work, Job Training Partnership Act (JTPA), Workforce Investment Act (WIA) including American Job Centers for both the City and County of Los Angeles, Veterans Employment Assistance Programs (VEAP) for the Employment Development Department, WIA Youth Center Programs for the County of Los Angeles, Summer Youth Programs for the County and City of Los Angeles, Los Angeles County Department of Social Services Programs including extensive job training programs for General Relief Participants, Family Self-Sufficiency (FSS), Los Angeles BusinessSource Centers funded by Community Development Block Grants (CDBG), American Recovery & Reinvestment Act (ARRA), Employment Training Panel (ETP), Health Sector On-the-Job Training (Department of Labor H-1B Technical Skills Training, DOL H-1B TST), and multiple Foundations funds. Our mission is to provide quality services to job seekers, entrepreneurs, and businesses as key strategies to create economically viable communities, raise educational and economic aspirations, and eliminate poverty. We believe that workforce, economic, and community development work in lockstep to secure regional economic prosperity. We serve the metropolis of Greater Los Angeles, with ten office locations throughout the City of Los Angeles and County of Los Angeles. 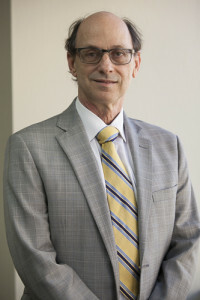 Dr. Philip Starr is the Executive Director at Managed Career Solutions. His principle responsibility is the oversight of all MCS’ workforce, job training and business development programs. His goal is to assure that these programs meet MCS’ customer’s needs. Dr. Esteban Magallanes is the President of Managed Career Solutions, Inc. He holds a Doctorate of Psychology degree from Ryokan College and a Masters of Science in clinical psychology from California State University Los Angeles. Dr. Magallanes has 25 years of work experience as a Vocational Rehabilitation Counselor and Job Developer. 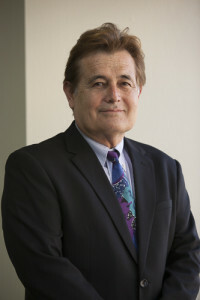 Dr. Magallanes has over 40 years of experience in developing programs that support individuals in obtaining gainful employment. Programs developed include assisting individuals with various barriers as well as those with and without disabilities. Dr. Magallanes is a Vietnam Veteran and has a special interest in assisting military veterans to achieve self-sustainability.